Stockholm (AFP) – Denmark was the youngest European country to ban the Islamic full-face veil in public space on the pretext of human rights activists on Thursday as "violation of women's rights". 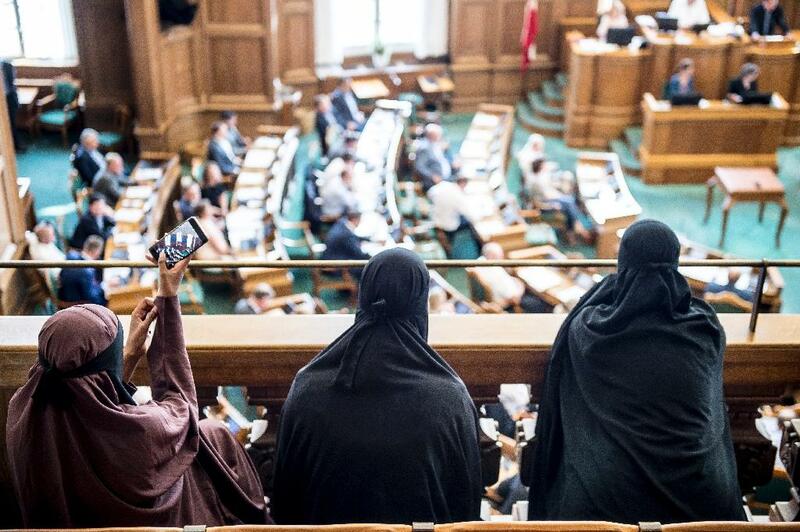 "Anyone wearing a piece of clothing that hides the face in public will be punished with a fine," the law says, with 75 to 30 votes passed in the Danish parliament. The new rule will come into force on August 1. A burka that covers the entire face of a person or the niqab, which only shows its eyes, will result in a fine of 1,000 crowns ($ 156, 134 euros) in public. Amnesty International condemned the law as "a discriminatory violation of women's rights," especially against Muslim women who choose to wear full-face veils. "While some specific restrictions on wearing full-face veils may be legitimate for public safety purposes, this general prohibition is neither necessary nor proportionate and violates the right to freedom of expression and religion," said the organization's Europe director , Gauri van Gulik, in a statement after the vote. "If this law seeks to protect women's rights, it miserably fails. Instead, the law condemned women for their choice of clothes, thereby violating those freedoms that Denmark claims to uphold." Proponents argue that Ban on better integration of Muslim immigrants into Danish society allows garments are used to suppress women. "Some people use (the full-face veil) to promote an ideology that, if successful, would cause many others to lose their right to freedom, it's a question of balance," Martin Henriksen said , Spokesman for the anti-immigrant Danish People's Party, opposite Ritzau. But Ayesha Haleem, a Pakistani woman who has worn The niqab of the past six years in which she lived in Denmark said nobody, not even her husband, have she was forced to wear it. "Many people believe that men force us to wear the niqab or burka, which is completely wrong," she told Danish public broadcaster DR.
"If I did not want to wear the niqab, I would Do not do it even before I've met my husband, "Haleem said," I'd rather leave the country than take off my veil. " The full-face veil is a hot topic across Europe. Last year, the European Court of Human Rights confirmed a Belgian ban on wearing it in public. France was the first European country to ban niqab in public places with a law that came into force in 2011. Last year, the German legislature approved a partial ban on the "face covering". Under the scheme, officials and staff members of the public, including judges and soldiers, must keep their faces clear and people may be required to remove face covers in order to match their identification documents. Last year, the law on the prohibition of the Muslim cosmonaut in public places came into force year.